Winners of the Royal Philharmonic Society award for Young British String Players, the Ruisi Quartet has established a reputation as a charismatic and expressive ensemble. They’ll perform Purcell, Stravinsky and Mendelssohn. Max, one of two brothers in the Quartet, answers our Q&A. I think we’d all agree that the best thing about being a musician is that you get to do what you love every day, and that it also happens to be your job. Being able to work with some of your best friends is also pretty great. The worst thing about being involved with classical music is how under-supported the arts are in this country, especially with the huge cuts being made in music education. The festival has a scheme where it offers a number of free tickets to young people to try something new – what would you say to audiences new to classical music to encourage them to give your concert a try? It can be easy to get the impression that classical music requires some kind of prior intellectual knowledge or maturity, and this just isn’t the case! We think that one of the most important aspects of our job is to make sure that the music we present really tells a story that anyone can understand, regardless of how much they know about the piece, the composer or the genre. The music we play deals with feelings and emotions that everyone can relate to, no matter how old you are. All of us in the quartet are into all types of different music, and at the end of the day good music is just good music, no matter when it was written! 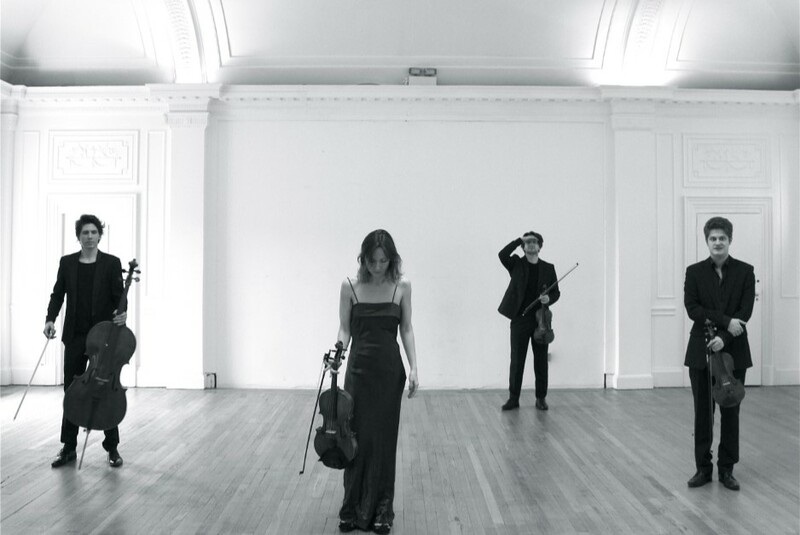 Ruisi Quartet: Sunday 17 February, 11am, The Old Swan Hotel. Book online here. Box Office: 01423 562 303.